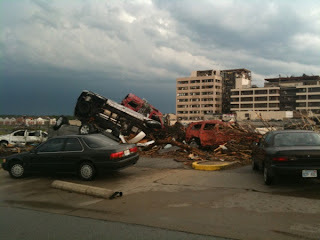 The town of Joplin, MO. in southwest part of the state was pounded by a tornado on Sunday afternoon around 6 pm. 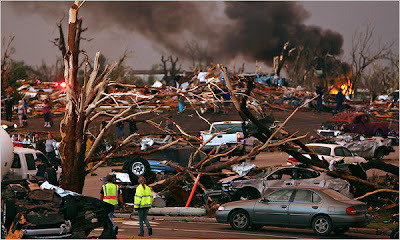 I mentioned to one friend tonight this is eerily reminiscent to Tuscaloosa. Picture of destroyed Wal-Mart SuperCenter in Joplin, MO. today. St. John's Hospital takes a direct hit.